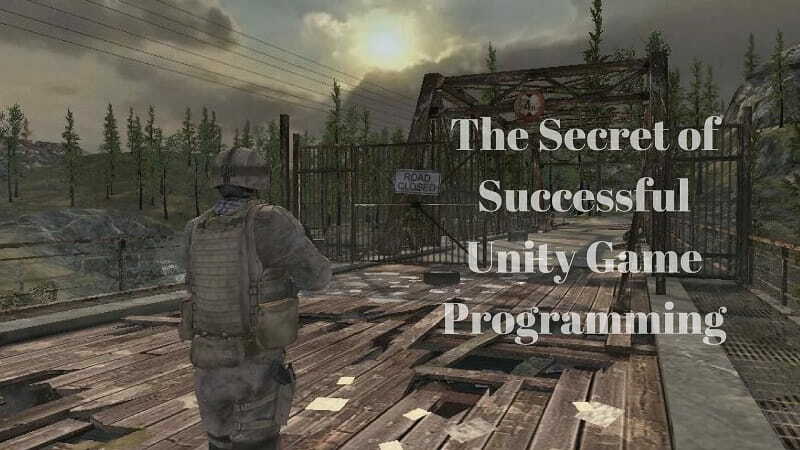 Unity Game Programming Success Secret, In this fast-paced world of advancement, there has been constant development in the field of technology. With few spare moments left out for any person at the end of the day, one hardly gets any time for choosing a good recreation. This is where the online(Unity Game) and mobile games come to rescue people from boredom. However, the fact is some games turn out to gain insane popularity that most of the times make people go crazy for Unity Game. The players of the game desire to come back to play back the game again. The player of feels like sharing the game with every person on his contact lists. The first aspect here can be quoted in other words as stickiness. The online game needs to have that sticky feeling which makes people comes back to play again and again. Once any game gets this aspect embedded in it, gaining popularity is only a matter about some days. Such games designed in unity 3D programming(Programming of Unity Game) gain popularity as they form a playing habit among the users. This ultimately makes the game popular. So big companies get into deeper levels and are not obsessed with devising a product that is technically perfect. They just get into changing certain fundamental aspect in the users; “habits.” You can even perceive it in this way that all big companies build a specific habit in the customers and consumers. And why do they give so much of importance to habit forming? The element of sharing is one very sophisticated yet subtle method if increasing the popularity of the game. The gaming firm cares about you and wants you to gain more rewards. Hence, they use this strategy for making you have a higher level of the game and improving the score of their success too. This is one wonderful way through which companies are dealing with unity 3D programming gain in their popularity. This works in multiple ways though. When any game gets many numbers of people playing it, it gets viral. This also adds to the stickiness of the game and makes it viral all over the internet. The companies use the premium pricing strategy. This is heightened when a social context is added within which other users would prefer spending money. When the matter arises about the success of unity 3D programming, there are some more secrets that you can use for sure. When beginning with this programming, some programmers might forget that they are using the Play mode. You need to choose “Preferences” and then select “Colors” followed by “Playmode Tint.” This will make the gamers have a more colorful gaming experience. You can also is another snapping secret. You can hold the V key down and choose and place objects by using “Vertex Snapping.” This can be of great help when the gaming construction is on par with the modular geometry. Sunny Chawla is a Marketing Manager at AIS Technolabs – a Web design and Development Company. Helping global businesses with unique and engaging tools for their business. He would love to share thoughts on Ecm Services, Web Designing, and Unity 3D Programming. Thanks for sharing such useful techniques for creating a successful unity game. This is really going to help many gamer developers and mobile game development companies.